techniques with cables and color work. shop) to sign up and get more information. We just secured our rooms on the Monarch of the Seas for our Knitting Cruise November 2-5, 2012.
in information about the room rates please call Travel by Ginny at 321-632-5610 and ask for Daphne. reservation fee. You can always call the shop at 321-632-4579 and get on the mailing list. I will have the registration fee put together soon along with the brochures. 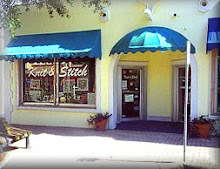 You can also e-mail us at knitstitch@bellsouth.net. We are very excited and will bring you more details soon!